In the realm of psychology, resilience is a valuable trait some people have which allows them to not be waylaid by the slings and arrows of life. They have learned to cope with adversity or bounce back from failure, or seem to possess intangible qualities like a positive attitude, optimism, or the ability to keep their emotions in check that allow them to be stretched but not break. The great English metaphysical poet and cleric John Donne noted in his Meditation XVII, "No man is an island, entire of itself...any man's death diminishes me, because I am involved in mankind; and therefore never send to know for whom the bell tolls; it tolls for thee." Although American mythology suggests a “rugged individual,” even the most self-sufficient citizens need to rely on others, don’t live in isolation, and have some responsibility for family, friends, neighbors, or co-workers. If we start with the idea that individuals yearn for connection and happiness that can only be found by interacting with others, families and friends become a larger circle around oneself. Larger groups can achieve goals that individuals or families might not have the numbers or expertise to accomplish on their own. Modern civilization has produced varying levels of size and scale for different communities and organizations. They can range from a shared common interest, such as volunteers who fight fires in their small communities to large, professional firefighters who are dispersed by a department to different stations in a city, to a regional coordinated firefighting force comprised of multiple professional forces that gather to fight wildfires. Thus the social goal of saving lives and preventing fires from damaging natural resources, homes, and businesses expands. As communities of interest expand, or towns get larger, the participants or residents have less likelihood of knowing other contributors or residents, and so to be effective they must work to develop common practices, good dialogue, and trust. Catholic Social Teaching recognizes that competency, trust, and knowledge related to a goal or problem becomes more difficult the further an organization is from the source of that goal or problem. 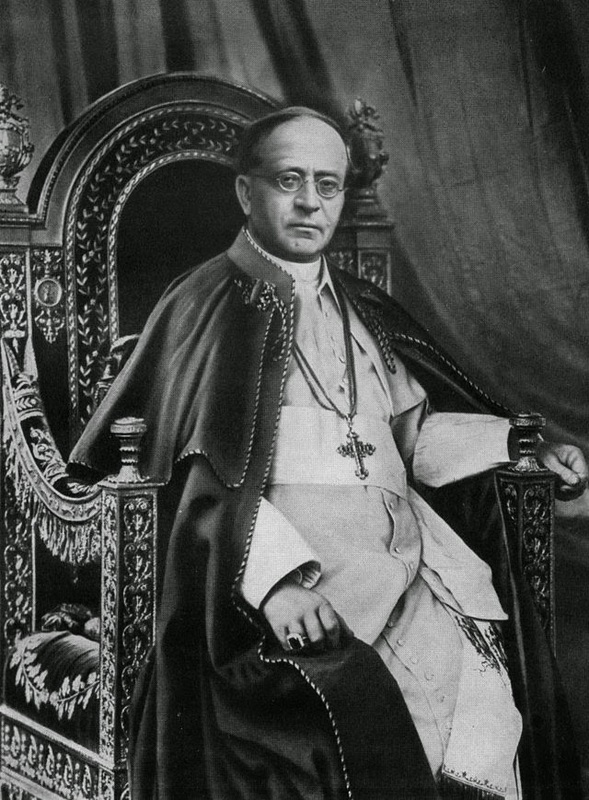 As the Catechism says, introducing the principle of subsidiarity first enunciated in Pius XI’s, Quadragesimo Anno encyclical , “a community of a higher order should not interfere in the internal life of a community of a lower order, depriving the latter of its functions, but rather should support it in case of need and help to co- ordinate its activity with the activities of the rest of society, always with a view to the common good." If a problem or goal can be solved effectively at a family, or neighborhood committee, or voluntary organization level, then there isn’t need for a town agency to administer it. Similarly, problems that can be handled efficiently at a town level, should not require a state, or federal government presence. Globalization has presented a challenge for keeping communities of interest closest to the lowest, most competent or knowledgeable source. Globalization allows us to trade with far corners of the world, communicate more easily through modern technology, and travel more quickly. However, the larger the global “village” gets, the bigger are the organizations that administer it. Multinational businesses operate throughout a continent or across the world, as opposed to a Mom-and-Pop store with a single location. International agencies and trade pacts may obligate a country to align their practices and laws with others, which may have a negative impact on regions that were not directly part of the decision-making process. Governments have taken on responsibilities that may not have existed formerly, or were handled by lower units. How can towns and small scale communities of interest remain resilient in an era of centralization? How can they bounce back from economic hardship, natural disasters, or anxiety over a rapidly changing world? What are the traits that communities can adopt that, like resilient individuals, give them the tools needed to avoid keeling over in times of stress? Communities and networks of activists are reacting to the centralizing effect on society by working in various locales to revitalize a sense of “place.” Organizations like Thriving Resilience  are harnessing the power of social networking to reconnect people with their own towns and local resources, and cultivating various intentional coalitions based on smaller-scale decision-making, such as the local food movement, and support of “Main Street” businesses. Other allied movements with a sense of place in mind include transit oriented development and sustainability initiatives. The local food (or “locavore”) movement defined by Gail Feenstra as a "collaborative effort to build more locally based, self-reliant food economies—one in which sustainable food production, processing, distribution, and consumption is integrated to enhance the economic, environmental and social health of a particular place." Small communities of interest have the ability to maintain an ongoing dialogue with the few people they serve, who can give feedback more easily. The Rockefeller Foundation has been studying what keeps some communities hale and hearty in its “100 Resilient Cities” project. By studying cities around the world and the various challenges they face in their locales, the project has noted that particular methods and practices must be utilized in order for a community to improve the quality of life of its citizens, and sustain those improvements over time as new challenges arise. They have created a “wheel” framework separated into 4 sections: “Health & Well-Being,” “Economy & Society,” “Leadership & Strategy,” and “Infrastructure & Environment.” Each section contains three drivers to push forward characteristics of resilience to the forefront. In the “Health” category, a resilient community features an ongoing ability to meet basic needs such as food, water, sanitation, energy, and housing. It also supports employment and local investment by offering skills development, and innovative ways to extend opportunity. It needs to offer a full range of public health services to prevent physical and mental concerns from impacting resilience. The “Economy/Social” category features ongoing initiatives that make communities within the overall geographic area feel included and valued. Engagement is necessary so that there is a sense that the community is pulling together. Inclusivity is vital to make sure that the system of justice and law enforcement works equitably. Economic diversity is also a key factor so that climate change and changes in public tastes and markets will not cripple a city dependent on one industry or company. “Leadership” requires drivers that ensure good, accountable, and transparent governance. Resilient communities need visible stakeholders across the community sectors, and have systems of mentoring, civic participation, and have a vision for the long term. “Infrastructure” is the remaining critical feature that can determine whether a community will remain resolute when challenges arise. Systems must be in place to protect natural assets and have management that assesses risks to them. A variety of transportation options keep cities innovative and productive. Maintaining them is of utmost importance. Good modern communication links available to all keeps dialogue effective at times of stress. Commenting in Governing magazine, Robert J. O’Neill, Jr. notes that the methodology behind resilient cities from the Rockefeller Foundation project can also be referred to as the “3 Es” (Environment, Economy, and Emotional Well-Being)  Communities need an ongoing plan to address their infrastructure, migration patterns of the population, and weather and climate changes. Resilient communities’ economies are strong because of intentional efforts to offer safe neighborhoods for all, an effective transportation network, and encourage business start-ups. The leaders require strong emotional intelligence to defeat the cynicism that often creeps into communities, and must also cultivate formal and informal arrangements within the lower levels of governing administration and commissions, non-profit organizations, business groups, colleges, and places of worship to help assist and support the community. Getting those smaller-scaled communities of interest involved in governance allows groups with more subject knowledge and understanding to tackle problems and offer solutions from their experience. International concerns about climate change and carbon pollution were discussed in December at the United Nations international climate conference in Lima, Peru. Prior to that summit the U.S. and China made a historic agreement on achieving benchmarks towards addressing their nations’ response to the ill-effects of climate change. The Center for American Progress reported these promising developments, and urged Congress to assist states by establish revolving loan funds they dub “State Future Funds.”  These funds could be invested by the individual states to cut pollution, increase energy efficiency, or invest in green energy start-ups. These funds could work alongside the Environmental Protection Agency’s proposed Clean Power Plan  in which the federal agency would work with states to set goals but avoid the “unfunded mandate” trap by allowing states to use their knowledge of local conditions to determine which projects to undertake. Investing in sustainable infrastructure, energy and development can lead to stronger community resiliency when facing floods, earthquakes, tornadoes, or other natural disasters. Infrastructure projects are often set aside due to the expense, but not only do things like the power grid, roads, bridges, mass transit, water supplies, airports, ports, and wastewater treatment plants get used daily by thousands of residents in each locality, but if any of them were strained a community would find it difficult to remain resolute and offer protection to its residents. The Resilient Communities for America campaign  seeks cities that are putting plans into effect to tackle the specific issues their residents face and the encouraging solutions they have developed. Cambridge, Massachusetts has assessed the extreme rainfall they have been receiving due to sea level rise. They are producing plans to upgrade storm water drainage systems. Minneapolis is addressing warming temperature trends in the area by identifying community partners to provide cooling centers for vulnerable populations, and preparing a plan to reduce greenhouse gases by 30 percent by 2025. Norfolk, susceptible to hurricanes on the Atlantic coast, is developing flood-proof plans for public buildings and utility infrastructure. San Diego is replenishing beach sand to meet the challenge of erosion. The District of Columbia is installing green roofs across the city to cool the atmosphere and slow storm water runoff. It is possible for a community or organization to address individual features of innovation or improving infrastructure without also creating a concern over whether resilience is helped or hindered. A city could build a new highway to improve transportation links, but if it constructs one where a certain neighborhood was thriving, or cuts off an important feature like a waterfront from other city services or resources, it might not succeed. British author Rob Hopkins, contributor to the book The Wealth of the Commons , mentions that a supermarket could take steps to reduce the amount of packaging its products have, install solar energy panels on the roof, and have more energy-efficient refrigerators. That would be a positive, but not necessarily resilient. Supermarket chains have often driven local shops out of business, and generally contain items for sale which were not produced locally and have traveled great distances to arrive. While the individual supermarkets might be saving energy, there can be much greater energy lost through transportation to get these products to the consumers. Also, any disruptions to this massive supply chain would put the local residents in a difficult position. 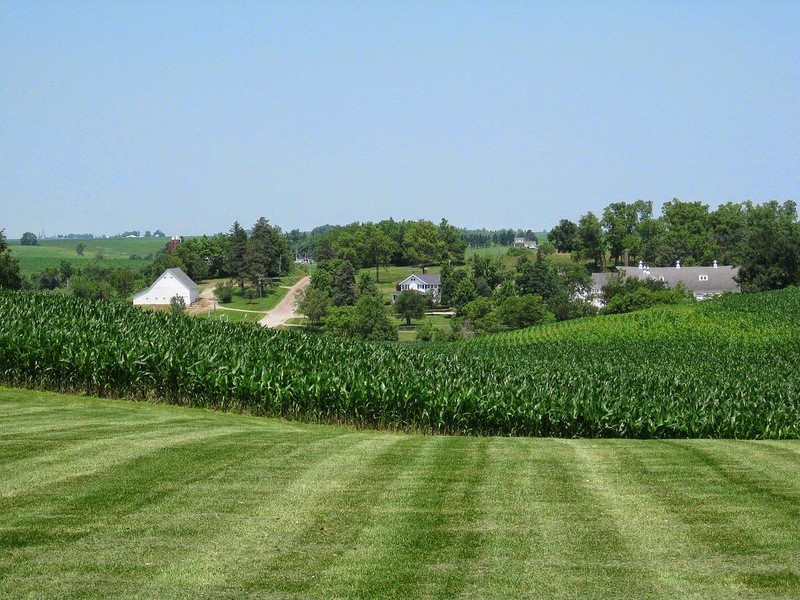 Additionally, if it becomes difficult for residents to start their own farms or small-scale businesses due to the competition from a large organization, resiliency is lost because the potential shop owner will instead need to work at the supermarket, where she has less ability to have a say in its direction, practices, or items for sale than one would in a small business. If we look again at the local food movement we can see a specific thread of how resiliency relies on smaller networks with grass-roots knowledge. Having an industrial food system, however efficient it might be, means that we will eventually see fewer and more centralized farms. Centralization will bring longer and more elaborate transportation. Transportation currently relies on the most wasteful fuel sources. The locavore movement instead hopes to connect people to where and how their food is grown, along with who is growing it. More local players in food production can make a town more self-sufficient, and provides more options for employment. Similarly, major utility companies have clout because they hold sway over vast regions’ power sources. If communities contained more diversified and smaller-scale economic ventures rather than dependent on chain stores, and big utilities, we could also have smaller-scale energy companies or power cooperatives that, like the locavore movement, keeps decisions about energy production more localized and closer to home. 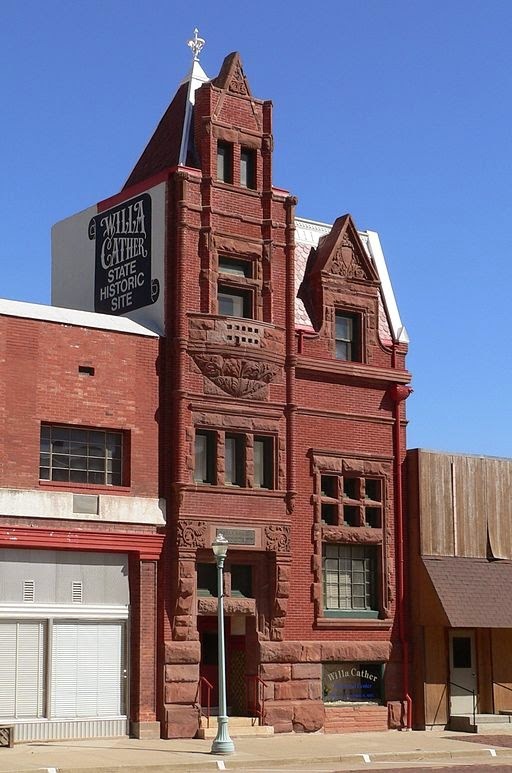 Patronizing community lenders and credit unions, as opposed to large commercial banks; cultivating smaller enterprises, as opposed to Big Business; and developing metropolitan broadband networks and utilities instead of national utility conglomerates, help create a sense of community and place. They build trust, keep their profits in the area, and make decisions locally. Keeping neighbors involved civically and in voluntary organizations also preserves the sense of solidarity and shared mission of keeping desirable places to live. In doing so, we can reach the goal of resiliency by preserving, as much as possible, those lowest subsidiary units beyond the individual and family in our communities to work on our behalf.